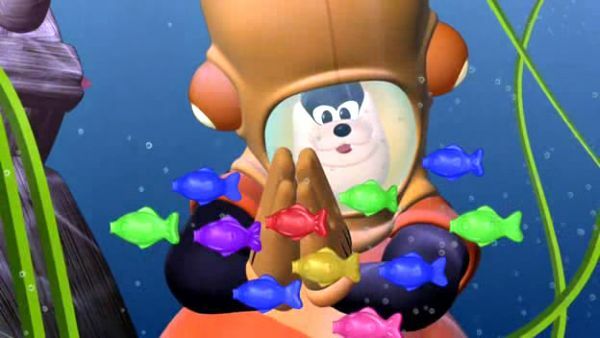 PETE: This is gonna stop Mickey and his pals from finding the big something. 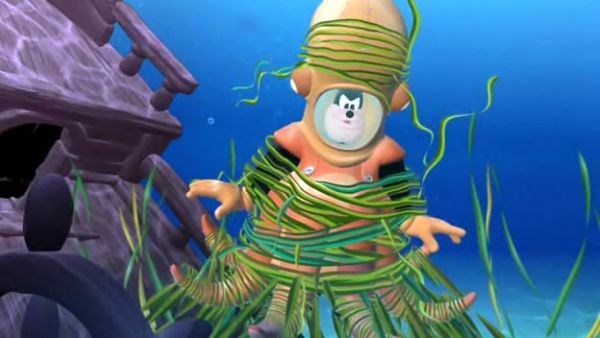 Ooh, I'm such a naughty nautical octo-Pete! Wake up and skedaddle, fishes! Hey, whoa. Whoa! Whoa! Oh, sea sludge! I just wanted to keep Mickey and his pals from finding that big something. My sneaky scheme is a sinking! BEEPER: Ping-ping! Warning! Ping-ping! Warning! MINNIE: Oh, my! 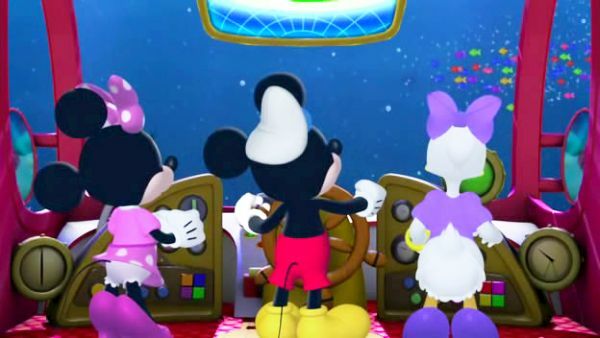 What's the super-sonar showing this time, Mickey? BEEPER: Ping-ping! Warning! Ping-ping! Warning! MICKEY MOUSE: Something's approaching! Fast! 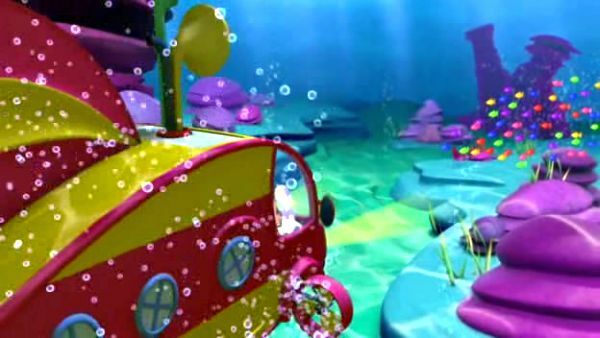 DAISY: It's a school of gooey fish! Oh! And they're swimming right into our path! MINNIE: Oh, dear! We have to stay out of each others way! GOOFY: What are we gonna do?! MINNIE: We need to stop the fish so we can get by safely! MICKEY MOUSE: We need a Mouseketool! Everybody say: oh, toodles! ALL: Oh, toodles! TOODLES: It's toodles! MICKEY MOUSE: Let's see. We've got a giant fork, a traffic signal and the mystery Mouseketool. What Mouseketool can help us get the gooey fish to stop? 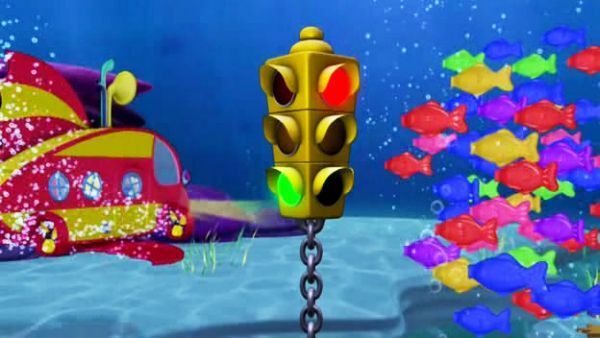 DAISY: How about the traffic signal? 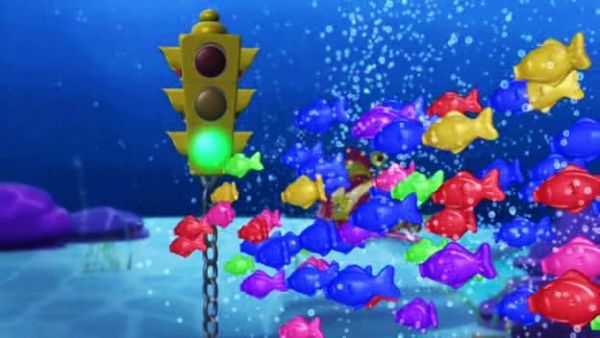 Its red and green lights can tell the fish when to stop and go! so the fish can go on their way. Everybody call out: green light! Ready? ALL: Green light! GOOFY: Holy mackerel, it worked! MICKEY MOUSE: And we gotta go, too! The big something awaits us!